Among the glass skyscrapers of London's financial district, and ancient centre, are nestled some very grand-looking low-rise halls, and a clue to the home of some of the city's more unlikely pockets of wealth. They were ordered as long ago as 1884, after a Royal Commission's investigation, to spend more on the public good or risk their existence. 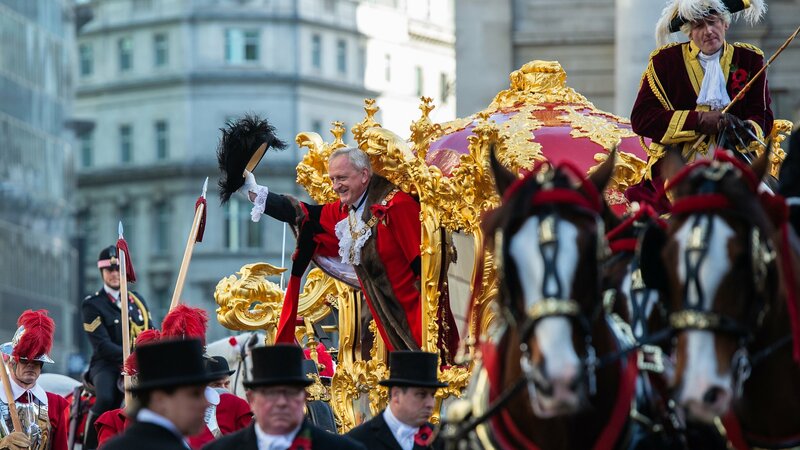 David Ferris is a member of the Vintners - or Worshipful Company of Vintners, to give it its full title - and very much a fan of the companies' history and potential. But he thinks they are not. "What I like best about them is these are ancient institutions, well alive in our midst, with wonderful old traditions," he says. "They are cultural gems." "They became gentlemen's clubs generally from about 1700," he says, "and they have a great deal of wealth." It's the older institutions that Mr Ferris feels may not be pulling their weight. In fact, the Mercers and Goldsmiths are the 55th and 73rd largest landlords in London respectively, according to Datscha, a commercial property data firm. Together, they are bigger landowners in the city than supermarket chain Sainsbury's or the National Grid. Mr Ferris has raised his concerns before. He says he was suspended from events at his company for five years and was ordered to "cease to question the company's governance and administration in any way" in a letter seen by the BBC. He won't, he says. And so his suspension continues. The company declined to comment. The Goldsmiths still has a large role in London's jewellery trade, where its Assay Office hallmarks precious metals, and it supports apprentices. Castro Smith, a jeweller who hand-makes rings, says of the Goldsmiths' role in today's industry: "It [plays] a massive part, especially in training new people. It takes a long time, this sort of skill. "They help financially, and in training, and it's a hub, an umbrella, a network." For the newer livery companies, it's a different picture still. Tapping a long history and sense of permanence gives the company a base from which to attract donors for their charities, and a sense of credibility. They are transparent, chatty, and keen to show their works. And many, such as the Arts Scholars, are careful to keep company money - raised from members - separate from funds raised for charitable ends. "We do encourage education. That's really [our] mainstay," says Georgina Gough, Upper Warden of the Arts Scholars, the youngest livery company. It brings together academics, experts and dealers. Their secrecy may not be helping them. What goes on in meetings of their courts - a governing committee similar to a modern company's board - is kept confidential, Mr Ferris says. It is also usual to become a member through patrimony - literally, because your father was a member. Newer and more forward-thinking companies say they try to avoid this. "We need to remember that the source of our assets is the benevolence of people in medieval times," says Mr Ferris. "They would be deeply shocked if they found out only a paltry amount was going to the public good."